Contemporary Masters from the East of England showcases a number of new and emerging artists of both national and international significance, featuring work by John Moores Prize winner Nicholas Middleton, Sovereign European Prize winner, Susan Gunn, 54th Venice Biennale exhibitor Marguerite Horner, East London Painting Prize Winner Nathan Eastwood, Kettle’s Yard exhibitor Amanda Ansell, Leverhulme Trust awardee David Sullivan, Digswell Arts Fellow Freya Purdue and Mary Webb who received a solo show at the Sainsbury Centre for Visual Arts in 2011, amongst many others. Contemporary Masters from the East of England draws 35 works from the Priseman Seabrook Collection of 21st Century British Painting which is housed in North Essex. It is the only art collection in the United Kingdom dedicated to painting produced in Britain after the year 2000. 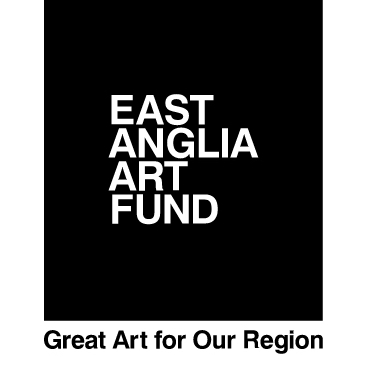 Historically the East of England has nurtured some of Britain’s greatest painters, from Thomas Gainsborough and John Constable in the 18th and 19th centuries to Christopher Le Brun and Maggi Hambling in the 20th. It has seen the establishment of the East Anglian School of Painting and Drawing at Benton End by Cedric Morris and Arthur Lett-Haines in 1939, whose students included Lucian Freud and Valerie Thornton, and the Norwich School of Design (now Norwich University of the Arts) in 1845, whose alumni include Michael Andrews, Colin Self and Susan Gunn. This level of excellence in the art of painting from the eastern region of the United Kingdom has continued to evolve and grow into the 21st century with a new wave of painters who have made the area their home and the production of internationally significant painting their life’s work.